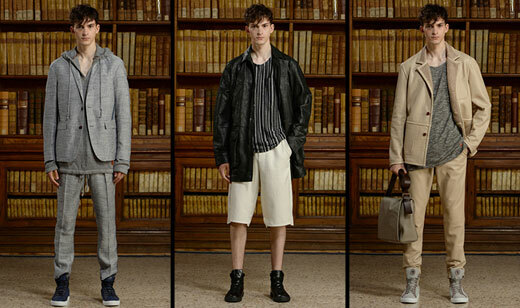 For the debut of its men’s collection for Spring summer 2016, Trussardi has chosen the rooms of the Braidense Library inside the Brera Pinacoteca. The installation conceived and developed by Gaia Trussardi comes from her desire to innovate the way that fashion is presented by combining it with different forms of art. Twenty-three people – actors, models and performers – participate in this event staged in the rooms of the Braidense National Library. Effortless elegance is therefore the key. 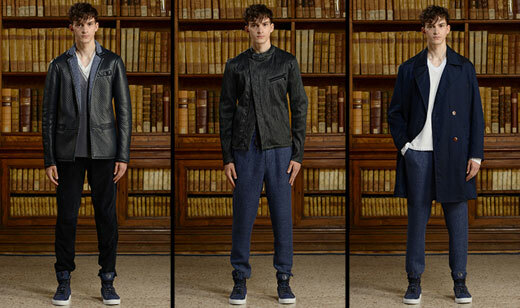 It is as if the best Italian artisan workmanship and sartorial tailoring have been blended with casual American style. 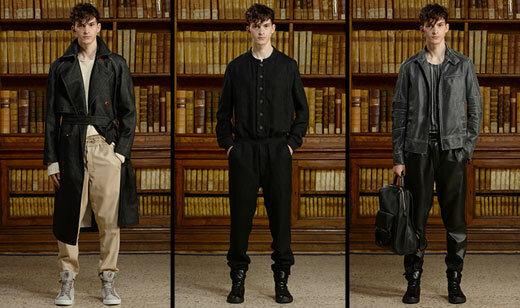 Everything is perfectly constructed, but nothing is rigid or structured: the drop shoulders, jogging pants, and soft lines give tradition and style a subtle, light touch. Materials are surprising and high tech: mat-like woven and raffia fabrics, buttery soft double glove leather. New techniques are used to create products such as leather backed with a 3D-effect mesh and another bonded with neoprene to create a wrinkled finish. 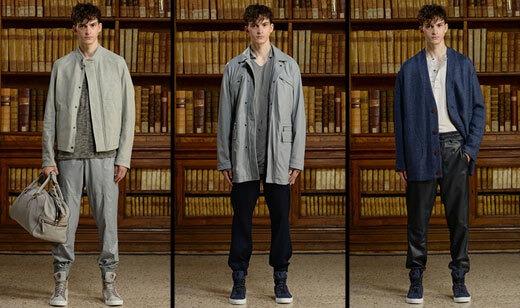 The colors: white and black, blue, anthracite gray, off-whites and myriad dusty hues.